Skydive Estonia is one of the biggest and most active skydiving clubs in Estonia, offering AFF and Static Line courses and tandem jumps. Skydive Estonia has the best skydiving aircraft in Estonia, Pilatus PC-6 Porter, and is the only club in Estonia that regularly jumps from 4 kilometres. All the instructors and staff speak English and upon request it is possible to arrange a beginners course in English (AFF and Static Line). The jumping season starts in April / May and ends in October and jumping takes place only at weekends (Friday nights, Saturdays and Sundays). The club is based at Rapla (Kuusiku) Airfield and there is a big landing area covered in grass. Visiting jumpers are welcome to stay at the bunkhouse at the airfield for the weekend. 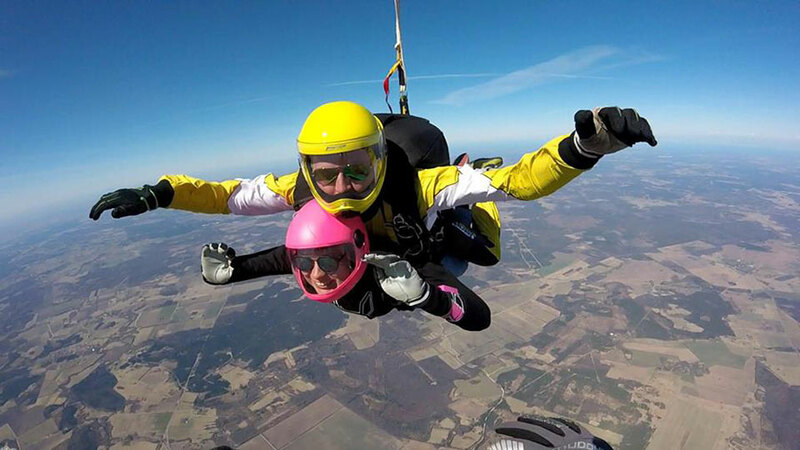 Once a year, in July or August, Skydive Estonia organizes the region's biggest boogie Parasummer with world class load organizers and many other attractions.